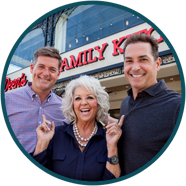 Welcome to the Paula Deen Network (“PDN” “we” “us” “our”)! We will provide you access to all things Paula Deen, including Paula Deen Network programming streamed over the internet to certain Internet-connected TV’s, computers and other devices (“Devices”) and access through www.pauladeen.com/ (the “Site”). This agreement applies regardless of what device, mobile or otherwise, you may use to access the PDN service. Software, content and other products available from the Site may be subject to United States Export laws, rules and regulations, as amended from time to time. No software available from the Site may be downloaded or exported, including without limitation, (i) into (or to a national or resident of) Cuba, Libya, North Korea, Iran, Syria, Sudan or any other country to which the United States has embargoed goods; or (ii) anyone on the United States Treasury Department’s list of Specially Designated Nationals or the U.S. Commerce Department’s Table of Deny Orders. By downloading content and otherwise using the Site, you represent and warrant that you are not located in, under the control of, or a national or resident of any such country or on any such list. By using this website, you agree to be legally bound by all of the terms of this Agreement. 2. CHANGES: PDN reserves the right at any time to modify this Agreement and to impose new or additional terms or conditions on your use of the PDN Service. Such modifications and additional terms and conditions will be effective immediately and incorporated into this Agreement. Your continued use of the PDN Service will be deemed acceptance thereof. 3. REPRESENTATIONS: By using this website you represent and warrant that you are a legal adult, that you meet all other eligibility requirements, and that you are fully able and legally competent to enter into the terms, conditions, obligations, affirmations, representations, and warranties set forth in this Agreement and to abide by and comply with these terms and conditions. 4. REGISTRATION: In accessing this website or certain of the resources on the website, you may be asked to provide registration details including a valid e-mail address, date of birth and your full name. It is a condition of use of this website that all the details you provide will be correct, current, and complete. If PDN believes the details are not correct, current, or complete, we have the right to refuse you access to the website or any of its resources. 6. COMMUNICATION PREFERENCES: By using the PDN service, you consent to receiving electronic communications from PDN relating to your account. These communications may involve sending emails to your email address provided during registration and posting communications on the PDN service. The communications will include notices about your account (e.g., payment authorizations, change in password or payment method, confirmation e-mails and other transactional information) and are part of your relationship with PDN. You agree that any notice, agreements, disclosure or other communications that we send to you electronically will satisfy any legal communication requirements, including that such communications be in writing. You should maintain copies of electronic communications by printing a paper copy or saving an electronic copy. You also consent to receiving certain other communications from us, such as newsletters about new PDN features and content, special offers, promotional announcements and customer surveys via email or other methods. If you no longer want to receive certain non-transactional communications, simply contact us at PDN Customer Service, 1-844-Paula-Deen or networksupport@pauladeen.com or at PDN Privacy Administrator, privacy@pauladeen.com, 2391 Downing Avenue, Thunderbolt, GA 31404. 7. USER REVIEWS, COMMENTS, AND OTHER MATERIAL: Your Posts. As part of the PDN services, users may have an opportunity to publish, transmit, submit, or otherwise post (collectively, “Post”) reviews, comments, or other materials (collectively, “User Material”). In order to keep the PDN services enjoyable for all of our users, you must adhere to the rules below. Please choose carefully the User Material that you Post. Please limit yourself to User Material directly relevant to the PDN services. Moreover, you must not Post User Material that: (1)(i) contains or hosts content that is unlawful, infringing, pornographic, obscene, defamatory, libelous or slanderous, threatening, harassing, vulgar, indecent, profane, hateful, racially or ethnically offensive, encourages criminal conduct, gives rise to civil liability, violates any law, rule, or regulation, infringes any right of any third party including intellectual property rights, or is otherwise inappropriate or objectionable to PDN (in PDN’s sole discretion), or (ii) links to infringing or unauthorized content (collectively, “Unsuitable Material”); or (2) improperly claims the identity of another person. Please note that we use your email address as your user ID and therefore your email address will appear to the public each time you Post. We advise that you do not, and you should also be careful if you decide to, Post additional personally identifiable information, such as your email address, telephone number, or street address. You must be, or have first obtained permission from, the rightful owner of any User Material you Post. By submitting User Material, you represent and warrant that you own the User Material or otherwise have the right to grant PDN the license provided below. You also represent and warrant that the Posting of your User Material does not violate any right of any party, including privacy rights, publicity rights, and intellectual property rights. In addition, you agree to pay for all royalties, fees, and other payments owed to any party by reason of your Posting User Material. PDN will remove all User Material if we are properly notified that such User Material infringes on another person’s rights. You acknowledge that PDN does not guarantee any confidentiality with respect to any User Material. To the fullest extent permitted by applicable laws, PDN disclaims and excludes all responsibility and liability for the Postings or for any losses or expenses resulting from their use and/or appearance on the website or elsewhere. You hereby represent and warrant that you have all necessary rights in and to all Postings you provide and all material, content and information they contain and that such Postings shall not infringe any proprietary right, intellectual property right or other rights of third parties. In any event, no material you send to us will be treated as confidential. Third Party Posts. Despite these restrictions, please be aware that some material provided by users may be objectionable, unlawful, inaccurate, or inappropriate. PDN does not endorse any User Material, and User Material that is posted does not reflect the opinions or policies of PDN. We reserve the right, but have no obligation, to monitor User Material and to restrict or remove User Material that we determine, in our sole discretion, is inappropriate or for any other business reason. In no event does PDN assume any responsibility or liability whatsoever for any User Material, and you agree to waive any legal or equitable rights or remedies you may have against PDN with respect to such User Material. You can help us tremendously by notifying us of any inappropriate User Material you find. If a “report” feature through the PDN services is not available for a specific instance of inappropriate User Material, please contact Customer Service at 1-844-Paula-Deen or networksupport@pauladeen.com (subject line: “Inappropriate User Material”). 8. SUBMISSIONS AND POSTINGS: PDN does not accept unsolicited submissions of concepts, creative ideas, suggestions, stories, or other potential content. This is to avoid the possibility of future misunderstanding when projects developed by PDN staff or representatives might seem to others to be similar to the submitted concepts, creative ideas, suggestions, stories or other potential content. Therefore, please do not send PDN any unsolicited submissions. From time to time, areas on this website may expressly request submissions of concepts, creative ideas, suggestions, stories, or other potential content from you (“Invited Submissions”). Where this is the case, please carefully read any specific rules or other terms and conditions which appear elsewhere on this website to govern the Invited Submissions (“Additional Terms”), since they will affect your legal rights. If no Additional Terms govern the Invited Submissions, then this Agreement will apply in full to any Invited Submissions you make. Please also be aware that any Invited Submissions you may make will not be acknowledged and does not create a fiduciary or other special relationship between you and PDN, or any of its affiliates or any of its licensees, successors or assigns or place PDN or any of its affiliates, licensees, successors or assigns in a position that is any different from the position held by members of the general public. You acknowledge and agree that neither PDN nor any of its licensees, successors or assigns has now, or shall have in the future, any duty or liability, direct or indirect, vicarious, contributory or otherwise, with respect to the infringement or protection of any copyright in and to your Invited Submissions, and that PDN and its licensees, successors or assigns are not responsible for the loss, deletion, failure to store or misdelivery of any Invited Submissions. Any communication or material you do transmit to the Site by electronic mail or otherwise will be treated as non-confidential and non-proprietary. Anything you transmit or post may be used by PDN or its affiliates for any purpose, including, but not limited to reproduction, disclosure, transmission, publication, broadcast, and Posting. Furthermore, PDN is free to use any ideas, concepts, know-how, or techniques contained in any communication you send to the Site for any purpose whatsoever, including, but not limited to, developing, manufacturing, and marketing products and content using such information. You will not violate any applicable local, state, national or international law, including but not limited to any rule, regulation, decree or ordinance. You will not post information on or download information from the Site unless you have all rights and authority necessary to do so. You will not post any Unsuitable Materials to the Site, including but not limited to text, graphics, audio and video files. You will not defame, abuse, harass, stalk, threaten, embarrass, cause distress, unwanted attention or discomfort or otherwise violate the legal rights (including without limitation rights of privacy and publicity) of any user, member, affiliate or representative of PDN, or PDN itself. You may express your disagreement with someone’s point-of-view, but personal attacks, or attacks based on another person’s race, national origin, ethnicity, religion, gender, sexual orientation, disability or other such condition or circumstance, are strictly prohibited. You will not impersonate another person or entity, including but not limited to a PDN representative, or communicate under a false name or a name that you are not entitled or authorized to use. You will not post surveys, contests, chain letters, pyramid schemes, unnecessarily long messages, unnecessary or repetitive posts, multiple ratings for the same item, meaningless text, spamming, offensive declarations or other similarly disruptive content. You will not falsify or delete any author attributions, legal or other proper notices or proprietary designations or labels of the origin or source of software or other material posted on the Site. You will not post files that contain viruses, corrupted files or other similar software, programs or routines that may damage the operation of another’s computer or the Site. You will not attempt to “crack, ” “hack, ” “bomb, ” manipulate or otherwise gain unauthorized access to another account username(s) or other information, PDN or its affiliates’ servers, PDN or its affiliates’ software or areas of the Site not intended for your access. You will not post, transmit or distribute any unsolicited advertising, promotional materials or other forms of solicitation to users or members, individuals or entities, except in areas designated by PDN for such purposes. You will not harvest, mine or otherwise collect or store personal information about others, including without limitation e-mail addresses and user or member profiles. You will not use or launch any automated system, including without limitation, “robots, ” “spiders, ” “offline readers, ” etc., that accesses the Site in a manner that sends more request messages to the PDN servers in a given period of time than a human can reasonably produce in the same period by using a conventional on-line web browser. Notwithstanding the foregoing, PDN grants the operators of public search engines permission to use spiders to copy materials from the Site for the sole purpose of creating publicly available searchable indices of the materials, but not caches or archives of such materials. PDN reserves the right to revoke these exceptions either generally or in specific cases. You agree not to collect or harvest any personally identifiable information, including without limitation usernames, from the Site or to use the communication systems provided by the Site for any commercial solicitation purpose. You agree not to solicit, for commercial purposes, users, including members, of the Site. You agree not to include any email addresses or telephone numbers of any entity or person, including your own, in any user or member submitted items to the Site or in any attachments to those submissions. You agree not to submit any user-generated content that infringes on the copyright, trademark or intellectual property rights of any person, entity or that may contain proprietary information that otherwise violates the legal rights of any person or entity. PDN does not permit copyright infringing activities and infringement of intellectual property rights on its Site. PDN will remove all content and user-generated content if properly notified that such content or user-generated content infringes on another’s intellectual property rights. PDN reserves the right to remove any content, including user-generated content, without prior notice and expressly reserves it rights under the Good Samaritan provisions of Communications Decency Act, Title 47, United States Code, Section 230(c). You agree not to include links as part of your signature line as they will be considered a form of solicitation and removed. 10. INFRINGEMENT NOTICE: We respect the intellectual property rights of others and require that our users do the same. 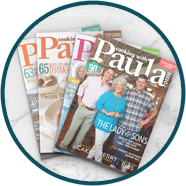 If you believe your work has been copied in a manner that constitutes copyright infringement, or you believe your rights are otherwise infringed or violated by anything on the Site, please notify us by sending an email to the following address privacy@pauladeen.com or by mailing 2391 Downing Avenue, Thunderbolt, GA 31404. In order for us to more effectively assist you, the notification must include all of the following: (i) A physical or electronic signature of the owner of the right claimed to be infringed or the person authorized to act on the owner’s behalf; (ii) a description of the copyrighted work or other right you claim has been infringed or violated; (iii) information reasonably sufficient to locate the material in question on the Site; (iv) your name, address, telephone number, email address and all other information reasonably sufficient to permit us to contact you; (v) a statement by you that you have a good-faith belief that the disputed use is not authorized by the rightful owner, its agent or the law; and (vi) a statement by you, made under the penalty of perjury, that the above information in your notice is accurate and that you are the owner of the right claimed to be infringed or violated or are authorized to act on behalf of the owner. 11. YOUR LIMITED LICENSE AND OUR INTELLECTUAL PROPERTY: Subject to these terms, PDN hereby grants you a nonexclusive, nontransferable, nonsublicensable, right to: (i) access the Site; (ii) access the content and the software which includes, but is not limited to files, images incorporated in or generated by the software, and data accompanying the software (collectively, the “Software”), made available through the Site; and (iii) download, print and use one copy of the content for your personal or internal use only. Any use of the Site or its content for commercial purposes is strictly prohibited. This license is for personal, non-commercial use only. Unauthorized access to the Site, or to the telecommunications or computer facilities used to deliver the Site, is a breach of these terms and is a violation of law. The Site and anything derived from it, including without limitation its content, information, Software, products, and services are the sole property of PDN. If you download Software from the Site, the Software is licensed to you by PDN pursuant to the above license grant and pursuant to other terms and conditions that accompany the Software, if any. PDN does not transfer title to the Software to you. You may own the medium on which the Software is recorded, but PDN or its licensors retains full and complete title to the Software and all intellectual property rights therein. No content, or trademarks, service marks and logos contained in the content (collectively, “Marks”), may be copied, reproduced, republished, uploaded, posted, transmitted or distributed in any way without the prior written consent of PDN or the applicable owner of such content and Marks. If you download or print a copy of the content for personal use, you must retain all copyright and other proprietary notices contained therein. Modification of the content or use of the content for any other purpose is a violation of PDN’s copyright and other proprietary rights. For purposes of these terms, the use of any such content on any other website or networked computer environment is prohibited. Except as specifically permitted in these terms, you may not, directly or indirectly: (i) transfer, sell, sublicense, rent, or lease the content on the Software; (ii) circumvent any encrypted data or gain access to more materials or data than was licensed or use the Site in any manner which violates this these terms or any applicable law; (iii) reverse engineer, decompile, disassemble, translate, or convert any Software or computer programs used to access the Site; and/or (iv) copy (except as provided herein), reproduce, disclose, distribute, display, perform, publish, adapt, create derivative works of, translate or otherwise modify the content, and/or Software or permit any third party to engage in any of the acts proscribed in clauses (i) through (iv). Upon request, you must provide PDN with evidence of compliance with this Section. Any special rules for the use of the content or Software, accessible on the Site may be included elsewhere within the Site and are incorporated into these terms by reference. 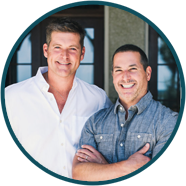 The content of the Site, including without limitation the Paula Deen Network, the Paula Deen, Bobby Deen, Jamie Deen, and Michael Groover names, images and likeness, and all affiliates or related parties and concepts thereto, are protected by copyright and other United States and foreign intellectual property and related laws, rules and regulations. The content includes both material owned or controlled by PDN and material owned or controlled by third parties and licensed to PDN. Title to all content on or from the Site remains with PDN or the third party owners of such content. Any use of the content not expressly permitted by these terms is a breach of these terms and may violate copyright, trademark and other laws. All rights not expressly granted herein are reserved by PDN. 12. MEMBERSHIP, FREE TRIALS, BILLING AND CANCELLATION: Ongoing Membership. Your PDN membership, which may start with a 14-day free trial, will continue year-to-year or month-to-month in accordance with the subscription you originally purchased unless and until you cancel your membership or we terminate it. You must have Internet access and provide us with a current, valid, accepted method of payment (as such may be updated from time to time, “Payment Method”) to use the PDN service. The amount will correspond to the membership level you selected during sign up. You must cancel your membership before it renews each month or year in order to avoid billing of the next month or year’s membership fees to your Payment Method. Free Trials. Your PDN membership may start with a free trial. The free trial period of your membership lasts for 14 days, or as otherwise specified during sign-up. Free trials may not be combined with any other offers. Free trials are for new and certain former members only. PDN reserves the right, in its absolute discretion, to determine your free trial eligibility. We will begin billing your Payment Method for monthly or annual membership fees at the end of the free trial period of your membership unless you cancel prior to the end of the free trial period. We may authorize your Payment Method through various methods, including authorizing it through the Period of service of your choice as soon as you register. In some instances, your available balance or credit limit may be reduced to reflect the authorization during your free trial period. You will not receive a notice from us that your free trial period has ended or that the paying portion of your membership has begun. Call or email PDN Customer Service at 1-844-Paula-Deen or networksupport@pauladeen.com monitor your free trial period. We will continue to bill your Payment Method on a timely basis corresponding to your choice of membership for your membership fee until you cancel. The timing will be monthlyor annually (“Periodically” or “Period”). Recurring Billing. By starting your PDN membership, you authorize us to Periodically charge you a recurring membership fee at the then current rate according to the monthly or annual membership Period of your choosing at the date of original purchase (unless you change or terminate your subscription), and any other charges you may incur in connection with your use of the PDN service or your other purchases made through the PDN service to your Payment Method. You will not receive a notice that your current subscription Period is expiring. You acknowledge that the amount billed each Period may vary from Period to Period for reasons that may include differing amounts due to promotional offers and/or changing or adding a plan, and you authorize us to charge your Payment Method for such varying amounts, which may be billed Periodically in one or more charges. Payment Methods. 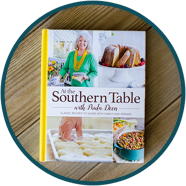 You may edit your payment information by contacting PDN Customer Service at 1-844-Paula-Deen or networksupport@pauladeen.com. If a payment is not successfully settled, due to expiration, insufficient funds, or otherwise, and you do not edit your Payment Method information or cancel your account (see “Cancellation” below), you remain responsible for any uncollected amounts and authorize us to continue billing the Payment Method, as it may be updated. This may result in a change to your payment billing dates. If you signed up for PDN using your account with a third party as a Payment Method, and wish to cancel your PDN membership at any time, including during your free trial, you may need to do so through such third party, including by visiting your account with the applicable third party and turning off auto-renew, or unsubscribing from, the PDN service. You may also find billing information about your PDN membership by visiting your account with the applicable third party. For certain Payment Methods, the issuer of your Payment Method may charge you a foreign transaction fee or other charges. Check with your Payment Method service provider for details. Cancellation. You may cancel your PDN membership at any time, and you will continue to have access to the PDN service through the end of your monthly or annual billing period. 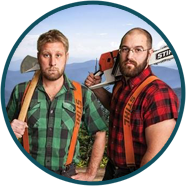 WE DO NOT PROVIDE REFUNDS OR CREDITS FOR ANY PARTIAL MEMBERSHIP PERIODS OR UNWATCHED MEDIA. To cancel, contact PDN Customer Service at 1-844-Paula-Deen or networksupport@pauladeen.com. 14. MOBILE TERMS AND CONDITIONS: The Site also includes versions designed for mobile content that can be viewed on mobile devices and through our PDN mobile app (the “Mobile Delivery”). Content available through the Mobile Delivery may include without limitation newsletters, alerts, ring tones, streaming and/or downloading of images, videos or other content (collectively, the “Mobile Content”). In order to use Mobile Delivery, you must have a wireless mobile device capable of two-way messaging and wireless service (with SMS (text messaging) capability) and for certain products and services a data plan through a participating mobile service provider. You agree that you are solely responsible for all message and data charges that you incur from your mobile service provider for your use of Mobile Delivery. These charges may include standard and premium SMS and/or data charges and may be recurring or one-time. All charges are billed by and payable to your mobile service provider. Please contact your mobile service provider for pricing plans and details. PDN reserves the right, for any reason and in its sole discretion, to modify, suspend or discontinue any of the Mobile Content, Mobile Delivery and your use thereof without prior notice. Mobile Delivery and Mobile Content is offered on an “as is” basis and may not be available in all areas at all times and may not continue to work in the event of product, software, coverage or other service changes made by your mobile service provider. PDN would like to remind you that our Service is for adults ages 18 and older and that your mobile privacy and security is subject to many factors outside of our control. While PDN will take commercially reasonably measures to insure security through its Mobile Delivery and Mobile Content, you are responsible for the security of your devices, mobile and otherwise. You should consult the privacy policies of your mobile network provider, mobile platform, and any other parties who have access to your device. 15. DISCLAIMERS OF WARRANTIES AND LIMITATION OF LIABILITY: PDN DOES NOT GUARANTEE, REPRESENT, OR WARRANT THAT YOUR USE OF THE PDN SERVICE WILL BE UNINTERRUPTED OR ERROR-FREE, AND YOU AGREE THAT FROM TIME TO TIME PDN MAY REMOVE THE PDN SERVICE FOR INDEFINITE PERIODS OF TIME, OR CANCEL THE PDN SERVICE AT ANY TIME, WITHOUT NOTICE TO YOU. PDN MAY PERIODICALLY SCHEDULE SYSTEM DOWNTIME FOR MAINTENANCE AND OTHER PURPOSES. UNPLANNED SYSTEM OUTAGES MAY ALSO OCCUR. YOU EXPRESSLY AGREE THAT PDN HAS NO LIABILITY WHATSOEVER FOR: (I) THE RESULTING UNAVAILABILITY OF THE SITE; (II) ANY LOSS OF DATA OR TRANSACTIONS CAUSED BY PLANNED OR UNPLANNED SYSTEM OUTAGES (III) THE RESULTANT DELAY, MISDELIVERY OR NONDELIVERY OF INFORMATION, PRODUCTS OR SERVICES CAUSED BY SYSTEM OUTAGES; OR (IV) ANY THIRD-PARTY ACTS OR ANY OTHER OUTAGES OF WEB HOST PROVIDERS, INTERNET SERVICE PROVIDERS OR THE INTERENT FACILITIES AND NETWORKS. YOU EXPRESSLY AGREE THAT YOUR USE OF, OR INABILITY TO USE, THE PDN SERVICE IS AT YOUR SOLE RISK. THE PDN SERVICE AND ALL PRODUCTS AND SERVICES DELIVERED TO YOU THROUGH THE PDN SERVICE ARE (EXCEPT AS EXPRESSLY STATED BY PDN) PROVIDED “AS IS” AND “AS AVAILABLE” FOR YOUR USE, WITHOUT WARRANTIES OF ANY KIND, EITHER EXPRESS OR IMPLIED, INCLUDING ALL IMPLIED WARRANTIES OF MERCHANTABILITY, FITNESS FOR A PARTICULAR PURPOSE, TITLE, AND NONINFRINGEMENT. BECAUSE SOME JURISDICTIONS DO NOT ALLOW THE EXCLUSION OF IMPLIED WARRANTIES, THE ABOVE EXCLUSION OF IMPLIED WARRANTIES MAY NOT APPLY TO YOU. IN NO CASE SHALL PDN, ITS DIRECTORS, OFFICERS, EMPLOYEES, AFFILIATES, AGENTS, CONTRACTORS, OR LICENSORS BE LIABLE FOR ANY DIRECT, INDIRECT, INCIDENTAL, PUNITIVE, SPECIAL, OR CONSEQUENTIAL DAMAGES ARISING FROM YOUR USE OF ANY OF THE PDN SERVICE OR FOR ANY OTHER CLAIM RELATED IN ANY WAY TO YOUR USE OF THE PDN SERVICE, INCLUDING, BUT NOT LIMITED TO, ANY ERRORS OR OMISSIONS IN ANY CONTENT, OR ANY LOSS OR DAMAGE OF ANY KIND INCURRED AS A RESULT OF THE USE OF ANY CONTENT (OR PRODUCT) POSTED, TRANSMITTED, OR OTHERWISE MADE AVAILABLE VIA THE PDN SERVICE, EVEN IF ADVISED OF THEIR POSSIBILITY. BECAUSE SOME STATES OR JURISDICTIONS DO NOT ALLOW THE EXCLUSION OR THE LIMITATION OF LIABILITY FOR CONSEQUENTIAL OR INCIDENTAL DAMAGES, IN SUCH STATES OR JURISDICTIONS, PDN’S LIABILITY SHALL BE LIMITED TO THE EXTENT PERMITTED BY LAW. PDN SHALL USE REASONABLE EFFORTS TO PROTECT INFORMATION SUBMITTED BY YOU IN CONNECTION WITH THE PDN SERVICE, BUT YOU AGREE THAT YOUR SUBMISSION OF SUCH INFORMATION IS AT YOUR SOLE RISK, AND PDN HEREBY DISCLAIMS ANY AND ALL LIABILITY TO YOU FOR ANY LOSS OR LIABILITY RELATING TO SUCH INFORMATION IN ANY WAY. PDN DOES NOT REPRESENT OR GUARANTEE THAT THE PDN SERVICE WILL BE FREE FROM LOSS, CORRUPTION, ATTACK, VIRUSES, INTERFERENCE, HACKING, MALWARE, OR OTHER SECURITY INTRUSION, AND PDN DISCLAIMS ANY LIABILITY RELATING THERETO. SOME PRODUCTS CAN BE DOWNLOADED ONLY ONCE; AFTER BEING DOWNLOADED, THEY CANNOT BE REPLACED IF LOST FOR ANY REASON. YOU SHALL BE RESPONSIBLE FOR BACKING UP YOUR OWN SYSTEM, INCLUDING ANY PDN PRODUCTS PURCHASED FROM PDN. WHILE PDN USES REASONABLE EFFORTS TO INCLUDE ACCURATE AND UP-TO-DATE INFORMATION IN THE CONTENT PROVIDED, WE MAKE NO WARRANTIES OR REPRESENTATIONS AS TO ITS ACCURACY AND ASSUME NO LIABILITY OR RESPONSIBILITY FOR ANY ERROR OR OMISSION OF ANY CONTENT. 16. WAIVER AND INDEMNIFICATION: BY USING THE PDN SERVICE, YOU AGREE, TO THE EXTENT PERMITTED BY LAW, TO INDEMNIFY AND HOLD PDN, ITS DIRECTORS, OFFICERS, EMPLOYEES, AFFILIATES, AGENTS, CONTRACTORS, AND LICENSORS HARMLESS WITH RESPECT TO ANY CLAIMS ARISING OUT OF YOUR BREACH OF THIS AGREEMENT, YOUR USE OF THE PDN SERVICE, OR ANY ACTION TAKEN BY PDN AS PART OF ITS INVESTIGATION OF A SUSPECTED VIOLATION OF THIS AGREEMENT OR AS A RESULT OF ITS FINDING OR DECISION THAT A VIOLATION OF THIS AGREEMENT HAS OCCURRED. THIS MEANS THAT YOU CANNOT SUE OR RECOVER ANY DAMAGES FROM PDN, ITS DIRECTORS, OFFICERS, EMPLOYEES, AFFILIATES, AGENTS, CONTRACTORS, AND LICENSORS AS A RESULT OF ITS DECISION TO REMOVE OR REFUSE TO PROCESS ANY INFORMATION OR CONTENT, TO WARN YOU, TO SUSPEND OR TERMINATE YOUR ACCESS TO THE PDN SERVICE, OR TO TAKE ANY OTHER ACTION DURING THE INVESTIGATION OF A SUSPECTED VIOLATION OR AS A RESULT OF PDN’S CONCLUSION THAT A VIOLATION OF THIS AGREEMENT HAS OCCURRED. THIS WAIVER AND INDEMNITY PROVISION APPLIES TO ALL VIOLATIONS DESCRIBED IN OR CONTEMPLATED BY THIS AGREEMENT. 19. ARBITRATION AGREEMENT: THIS SECTION PROVIDES FOR RESOLUTION OF DISPUTES THROUGH FINAL AND BINDING ARBITRATION BEFORE A NEUTRAL ARBITRATOR INSTEAD OF IN A COURT BY A JUDGE OR JURY. All disputes arising under or relating to these terms or the Mobile Terms or to your use (or inability to use) of the Site shall be settled by arbitration administered by the American Arbitration Association under its Commercial Arbitration Rules and Supplementary Procedures for Consumer-Related Disputes (“Supplementary Procedures”), as amended by the terms of these Terms. The Supplementary Procedures are available online at www.adr.org. To the extent that the arbitrator deems reasonable, the arbitrator may conduct hearings, if any, by teleconference or videoconference, rather than by personal appearances. Any in-person appearances requested by the arbitrator shall be held in the County of Erie in the State of New York. The arbitrator’s decision shall be based upon the substantive laws of the State of New York without regard to its principles of conflicts of law. Arbitration proceedings shall be conducted in English and in a manner that preserves confidentiality. The arbitrator’s decision shall follow the plain meaning of the relevant documents and shall be final and binding. The award rendered by the arbitrator(s) may be confirmed and enforced in any court having jurisdiction thereof. The foregoing shall not preclude PDN from seeking any injunctive relief in United States of America state or federal courts for protection of its intellectual property rights (including the rights of its licensors), and you agree to exclusive jurisdiction by the federal and state courts located in Erie County in the State of New York, and waive any jurisdictional, venue, or inconvenient forum objections to such courts. These terms do not create rights enforceable by third parties. These terms do not, and shall not be construed to, create any partnership, joint venture, employer-employee, agency, or franchisor-franchisee relationship between the parties hereto. These terms will bind and inure to the benefit of each party’s successors and permitted assigns. You may not assign, transfer, or sublicense any of your rights or obligations under these terms without PDN’s prior express written consent. No waiver by either party of any breach or default hereunder will be deemed to be a waiver of any preceding or subsequent breach or default. If any part of these terms is found by a court of competent jurisdiction to be invalid or unenforceable, it will be replaced with language reflecting the original purpose in a valid and enforceable manner, and the enforceable sections of these terms will remain binding upon the parties. Any heading, caption or section title contained herein is inserted only as a matter of convenience, and in no way defines or explains any section or provision hereof. These terms, together with all policies referred to herein, constitute the entire agreement between you and PDN with respect to your use of the Site and Mobile Delivery and supersedes all prior or contemporaneous communications and proposals between you and PDN regarding such subject matter. Without limitation, you agree that a printed version of these terms and of any notice given in electronic form shall be admissible in judicial or administrative proceedings based upon or relating to this agreement to the same extent and subject to the same conditions as other business documents and records originally generated and maintained in printed form. 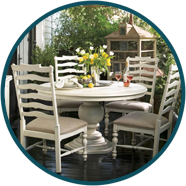 The provider of the website is Paula Deen Ventures, Inc., 10225 Main Street, Suite 4, Clarence, New York 14031. To file a complaint regarding the website or to receive further information regarding use of the Site, send a letter to the above address, or contact PDN via e-mail at networksupport@pauladeen.com. You may also contact the Complaint Assistance Unit of the Division of Consumer Services of the Department of Consumer Affairs in writing at 400 R Street, Suite 1080, Sacramento, California 95814, or by telephone at 916.445.1254 or 800.952.5210.